As part of the downward spiral into increasingly esoteric subjects that is currently happening on this site, I now present some info on making a water bath do things. Simple things, but things nonetheless. 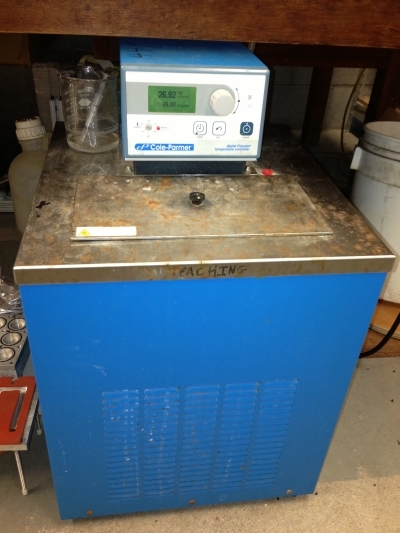 An old Cole-Parmer Digital Polystat water bath.